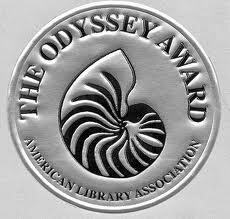 The Odyssey Award is given annually to the producer of the best audiobook produced for children and/or young adults, available in English in the United States. Batchelder Award: Awarded to an American publisher for a children's book considered to be the most outstanding of those books originally published in a language other than the United States, and subsequently translated into English and published in the United States. Caldecott Medal: Awarded annually by the Association for Library Service to Children (ALSC) to the artist of the most distinguished American picture book for children. Ezra Jack Keats Book Award: Awarded annually by the Association for Library Service to Children (ALSC) to the artist of the most distinguished American picture book for children. Geisel Award: The (Theodor Suess) Geisel Award is given annually to the author(s) and illustrator(s) of the most distinguished American book for beginning readers published in English in the United States during the preceding year. Newbery Medal: Awarded annually by the Association for Library Service to Children (ALSC) to the author of the most distinguished contribution to American literature for children. Orbis Pictus Award: The Nation Council for Teachers of English (NCTE) Orbis Pictus Award was established in 1989 for promoting and recognizing excellence in the writing of nonfiction for children. The name Orbis Pictus, commemorates the work of Johannes Amos Comenius, Orbis Pictus—The World in Pictures (1657), considered to be the first book actually planned for children. Scott O'Dell Award for Historical Fiction: Awarded to an author for a meritorious book published in the previous year for children or young adults, which increases the interest of young readers in the historical background that has helped their country and their world. (Robert F.) Sibert Informational Book Medal: The Sibert Medal honors the author(s) and illustrator(s) of the most distinguished informational book published during the preceding year. The Texas Bluebonnet Award program is unique in that it encourages reading for pleasure and is aimed at students in grades 3-6. 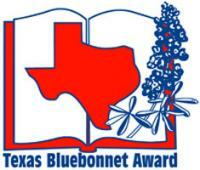 Each year, 20 books are chosen as the “Texas Bluebonnet Award Master List” by the TBA selection committee. If students read a minimum of five books from the current master list (or have the books read aloud to them), they have the opportunity to vote for their favorite title during the month of January each year. The author of the book receiving the most votes statewide is declared the winner of the Texas Bluebonnet Award. 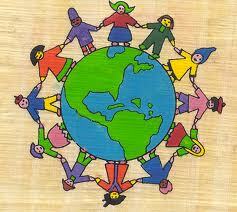 American Indian Youth Literature Awards: Honors the very best writing and illustrations by and about American Indians. Asian/Pacific American Award for Literature: Honors and recognizes individual work about Asian/Pacific Americans and their heritage, based on literary and artistic merit. 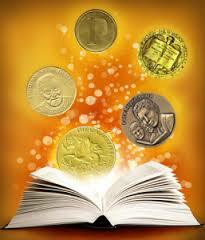 There is both a Children's Literature Award and a Young Adult Literature Award. Carter G. Woodson Book Award: Awarded to the most distinguished social science books appropriate for young readers that depict ethnicity in the United States. Coretta Scott King Book Awards: Given to African American authors and illustrators for outstanding inspirational and educational contributions, and for promoting an understanding and appreciation of the culture of all peoples. Pura Belpré Award: Presented annually to a Latino/Latina writer and illustrator whose work best portrays, affirms, and celebrates the Latino cultural experience in an outstanding work of literature for children and youth. Sydney Taylor Book Award: Presented annually to outstanding books for children and teens that authentically portray the Jewish experience. The Tejas Star Reading List: The purpose of the list is to encourage children ages 5-12 to explore multicultural books and to discover the cognitive and economic benefits of bilingualism and multilingualism.